Recently one of my Zotac GTX970 graphic cards didn’t work properly. The sound of cooling fan has made awkward noise since it’s new, and suddenly the sound became more serious. Now the fan totally stopped now. It has been 8 months and I run the machine 24/7 to mine ethereum. Besides that, this summer was very hot. So it might result in bad effect on the graphic cards. My poor GTX970 died so quickly because of so much burden work. I tried to pull of the card, but I couldn’t even touch it because it is so hot. I already had set the temperature of the core as maximum 80 Degree Celsius, and normal temperature of them shows 78~79 degrees average. So I turned off the computer and waited for more than 1 hour. And then separated it from desktop computer. But even after removing the graphic card, I didn’t visit service center. It’s weekend and my laziness made not move. 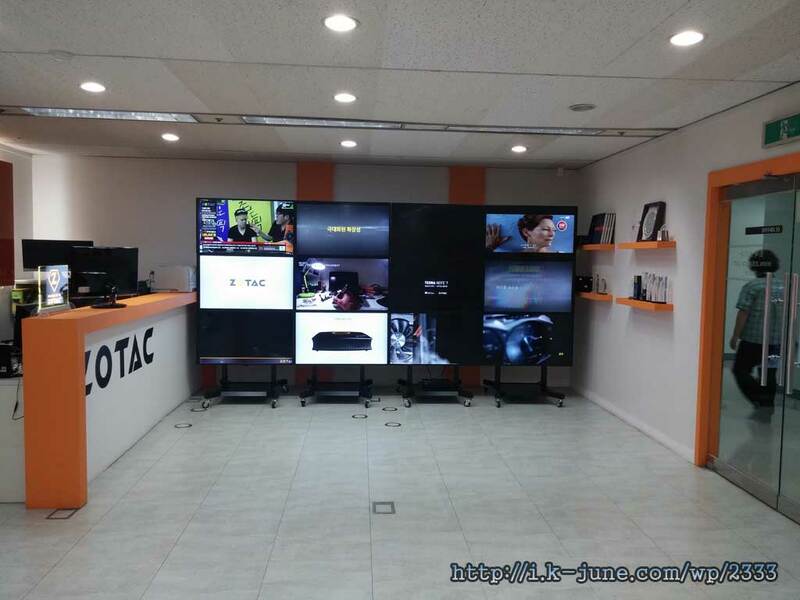 A few days later, after some internet searches, I finally visited Zotac Korea Service Center, which is located Yongsan, Seoul. 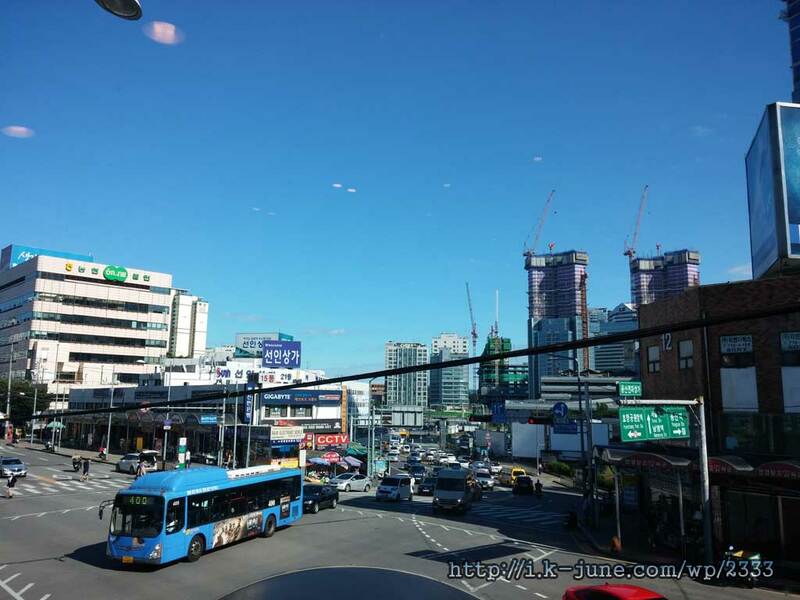 But the venue is not in the Electronics Complex like Sun-In, NaJin, Won-Hyo, Electronics Land. It is a little bit outside of there, the opposite street of Electronics Land. Actually I felt like I’d been here before. Dejavu. 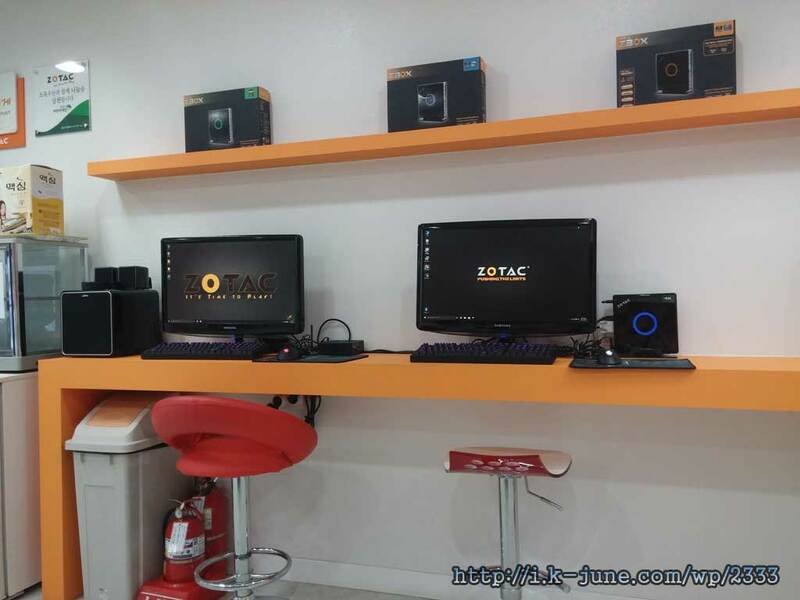 The scene of Zotac Customer Center Korea. It has several monitors combined in its office. It was playing some videos about Zotac product. Zotac Support Center is located on the 10th floor. When I saw the office for the first time, I was a little bit surprised at its good and clean environment. It is unlike any other offices at Yongsan where common office at Yongsan is normally not that clean and sometimes it looks like factory cargo and the staffs there have abrupt face. But the Zotac doesn’t. Several Zotac products. GTX980Ti, GTX1070, GTX1080, as well as internet routers and IPTV products. I registered as a customer and gave a staff my graphic card. and I just looked around the office. The free coffee was available so I sipped a cup of coffee. There are dozens of screens on a wall, and a big screen on the opposite wall. 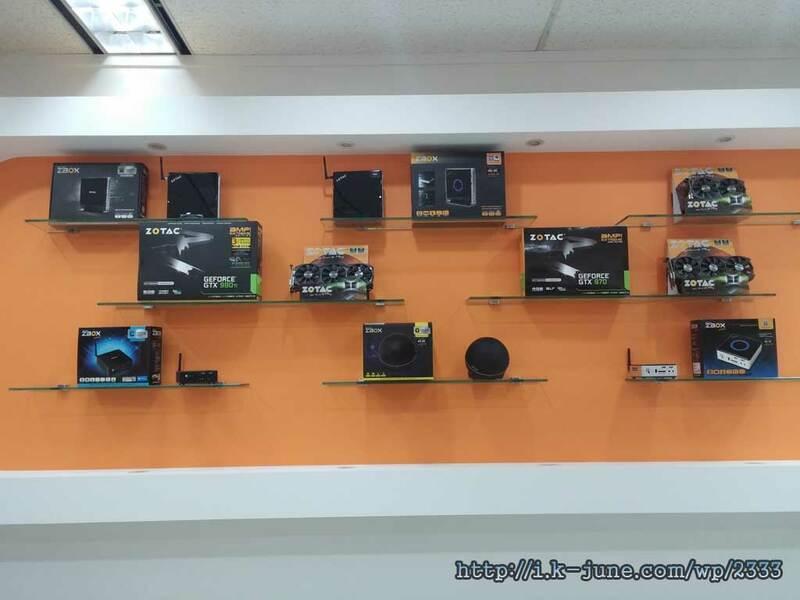 And there are many Zotac products on the shelves as well as PCs for visitors. On one side there was a PC that can be used by visitors. Anyway, after about 30 minutes, the staff called me and I got new GTX970 graphic card. I just worried but everything went well. And next, I visited LG Electronics Service center to replace my swelling mobile phone batteries. On the way home, I stopped by Lotteria and had a hamburger as always I do. The weather is so clear and the sky is so blue. The autumn has come.